Chronicling the Golden Age of Astronomy: A History of Visual Observing from Harriot to Moore. 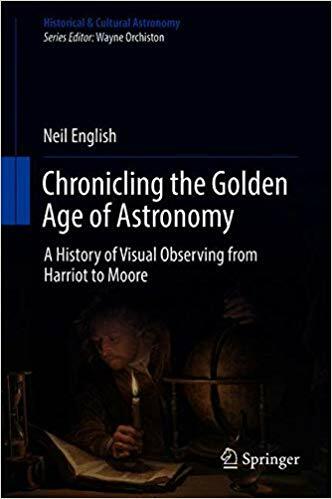 This is an excellent book and will complement Ashbrook’s Astronomical Scrapbook and therefore have wide appeal to both amateur and professional astronomers. Wayne Orchiston, Professor of Astrophysics, University of Southern Queensland, Australia. What Happened to Robert Burnham Junior? The Impact of Mount Wilson’s 60-inch Reflector.